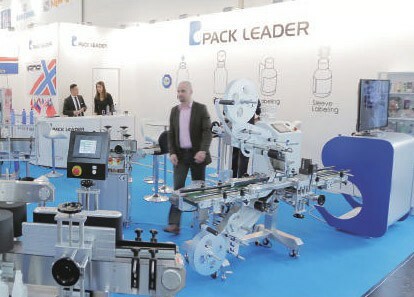 How can the packaging industry reach the international market? 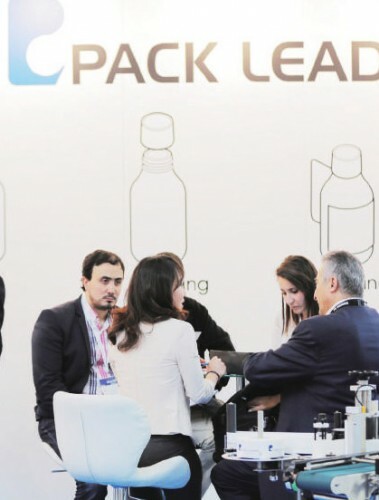 loyal partners; and understanding the market - these lead to success. 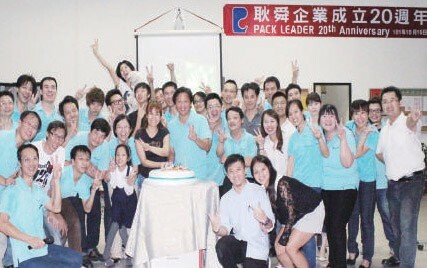 Pack Leader’s founding chairman, Sunny Hsieh, established the company with the goal of becoming Asia’s largest packing company. 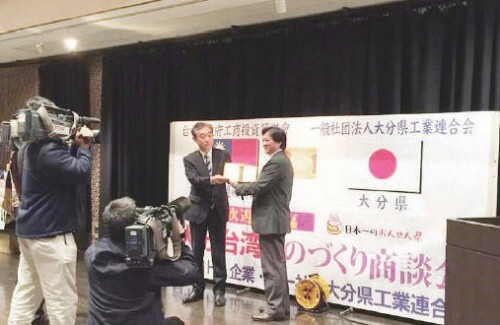 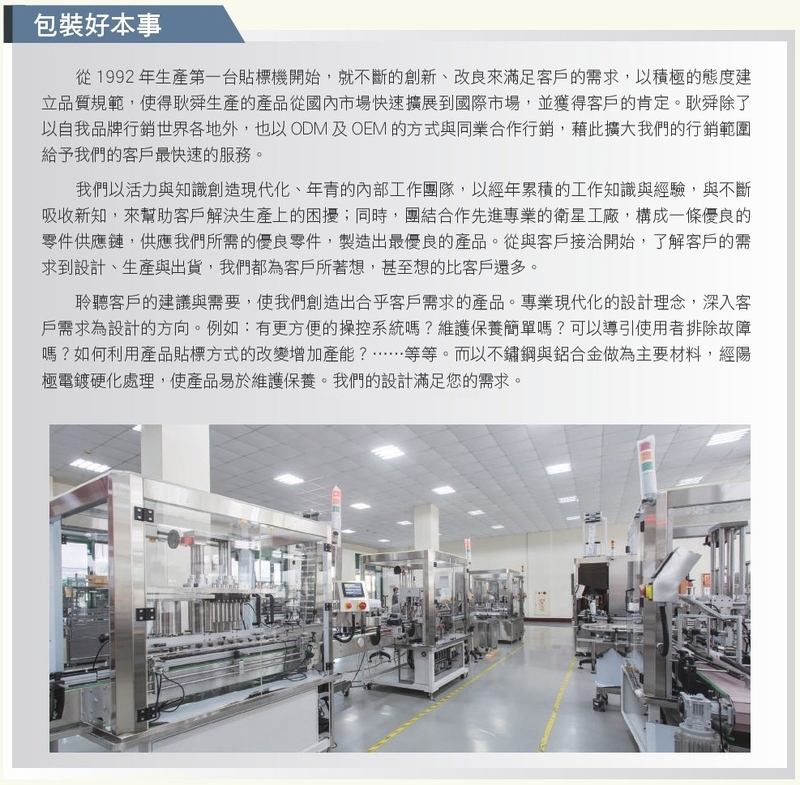 The company is now the largest exporter in Taiwan, and is an internationally recognized brand. 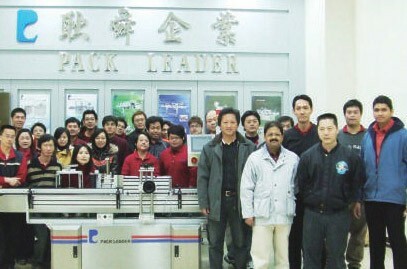 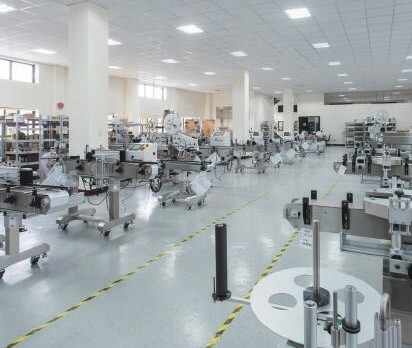 Founded in Taichung in 1992, Pack Leader is a producer of packaging machinery, including liquid filling machines, capping machines, shrink film sleeve labelers, and self-adhesive labeling machine. 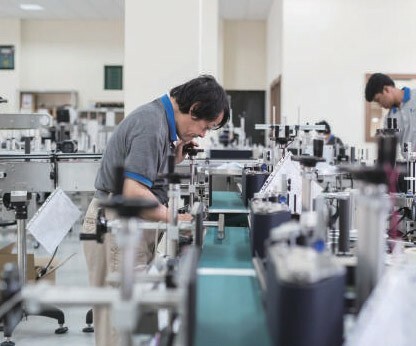 In summarizing how the company has reached its position today, Sunny Hsieh uses the word ‘persistence’, and emphasizes the importance of ‘people and integrity’. 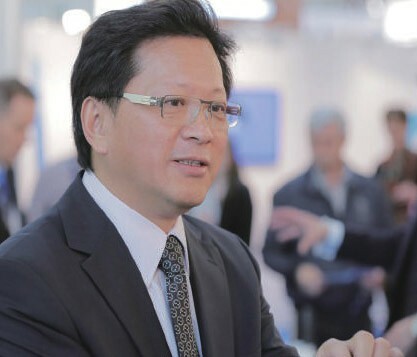 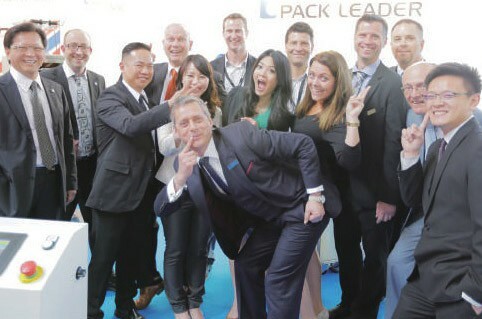 In becoming Taiwan’s largest exporter, Pack Leader has created a successful business model that many companies would like to emulate, and has had a far-reaching impact. 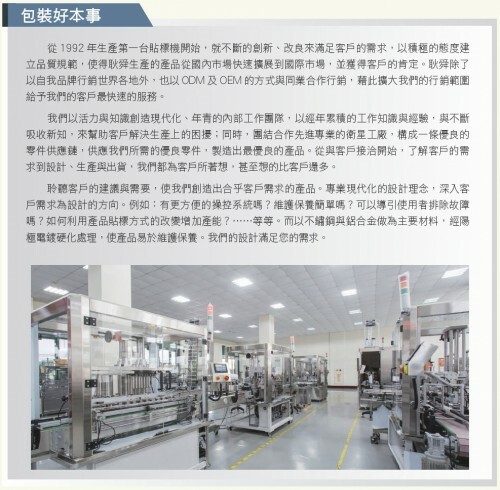 每家公司都有其成功企業文化，然而從 事貼標機生產的耿舜公司也不例外，總經理 謝舜星說，他們的企業文化就是「責任、榮 譽、完美」。「責任」就是自己製造的設備 一定要好，不能隨便，有問題也要負起完全 責任。他說，曾有兩間客戶( 北美及日本)， 購買我們的設備，經過一年多後，超過保固 期，才提出機器的操作設計有問題，經過我 們深入了解後，發現是我們設計不良而導致 的後果，因此最後我們還是更換了一台新的 機種給他們，就連運費也是自己負責。「榮 譽」就是要做到讓認識耿舜公司的人，都覺 得它真的是一間非常不錯的公司( 不管是機器品質或為人)。甚至曾有代理商向謝舜星開玩笑地說:「賣你 們的設備很容易被客戶遺忘，因為機器幾乎都不用維修，也不容易壞。」「完美」就是對機器的品質不斷 地追求完美，如此公司才能不斷成長。縱觀以上三項看似簡單的企業文化，卻是耿舜締造完美無懈可擊品 牌形象的利器!